20 Responses to "BODYCOMBAT 56 filming"
I heard from someone who was at the filming, BC56 is awesome! Can’t wait! KIAAA! Excellent job, Deb! Always keeping it real and staying with the fight!! I agree! Superb job! I truly felt like I was there! Great review, thanks for that, Deb. Couldn’t agree more, LM auckland is a great experience! Can’t believe you Glen, for leaving NZ to go to a dessert…..enjoy it anyway! Thanks so much for the compliments everyone! I loved putting the review together and thank Glen very much for letting me jump in for him. Until next time, my fellow warriors! BC 28 has my all time favorite track 3! Come with me still sticks it out in my classes today! Can’t wait! sounds great! Releasing 55 next week, then on to 56 in 3 months time.. I heard 55 is also very good. Thanks Deb, great post (though you might be giving a little bit too much :P). Now where’s that blonde kiwi guy who is the master of saying something without really saying anything..
Hi everybody, my name’s Nelson Fonte, from Portugal, i’m not a fan of BC, i’m much more into BP and BA, but as a Les Mills’s fan, i follow this blog to be the most well-informed, of my favorite’s classes. Thank you Glen for this blog, and great job Deb, you maybe “push” me to do BC56 at my gym, when is gonna be presented. What a fabulous review – thank you for sharing! Can’t wait till I’m there in May!!! Great review! I’m liking the sound of BC56 already, and I’m hoping that I’m still liking it when I actually get to do it. Yes – I did BC56 3-4 times with D&R before they actually did the filming and i really liked the release a lot! We just did the presentation at my gym on Monday for 56…I’m not an instructor, just a huge fan of BC. 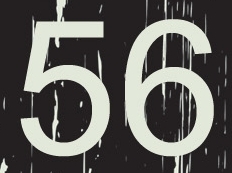 It’s not as great as 54 or 55, track 3 has bad music for an awesome choreography…but 54 and 55 were awesome. 56 is slightly less awesome but still awesome, and Track 8 is the best track 8 in a looooooooong time. Lots to look forward to! Does anyone have a kick count for BC56 yet?